fall decor was already showing up 2 months ago behind the scenes for various projects. 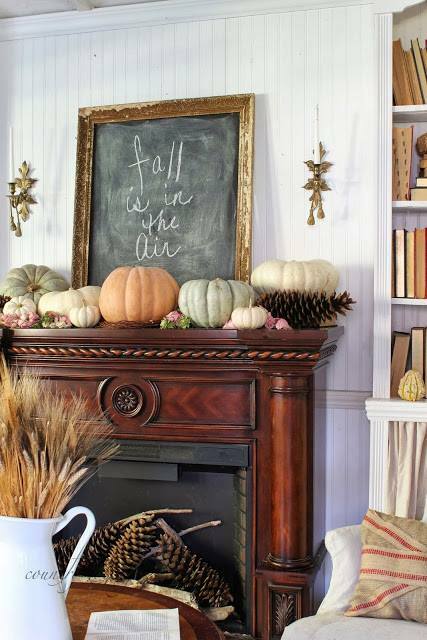 And next week- I am joining a fantastic group of bloggers for a fall home tour. minus those always elusive until the last minute pumpkins. or that story about white capris (after Labor Day) and stopping at the Re-Store. I am perusing these post for a little Where are the Pumpkins ideas as well. I also shared a few other 5 minute Autumn decorating tips over at Ebay this week if you would like to take a peek. I can hardly wait to share with you. Courtney always so romantic here, the holidays are soon to arrive and I am looking forward to all you inspire from it. That first photo grabs my hearth leaving me breathtakingly inspired by your creative beauty. I had been away from visiting due to making some changes in my small French cottage.... Bringing in an armoire that I had taken form model home storage that had dated itself and now it's sits in my home and I am loving the new look, you can see it in my post. Next the wood on the walls and I can get more from its small space with its charm. You can never have to much wood right? Beautiful as always Courtney. My face, the centerpiece with the mini pumpkins and dried hydrangeas. OH wait... the to die for chippy door with the wheat wreath! So beautiful and cozy! it's been hot here as well (in Florida), I miss the seasons :( and this post makes me miss autumn even more! lol. It is a perfectly fall-ish 62 degrees here in Minnesota today, and I am feeling quite smug about that. It will be a different story in January! 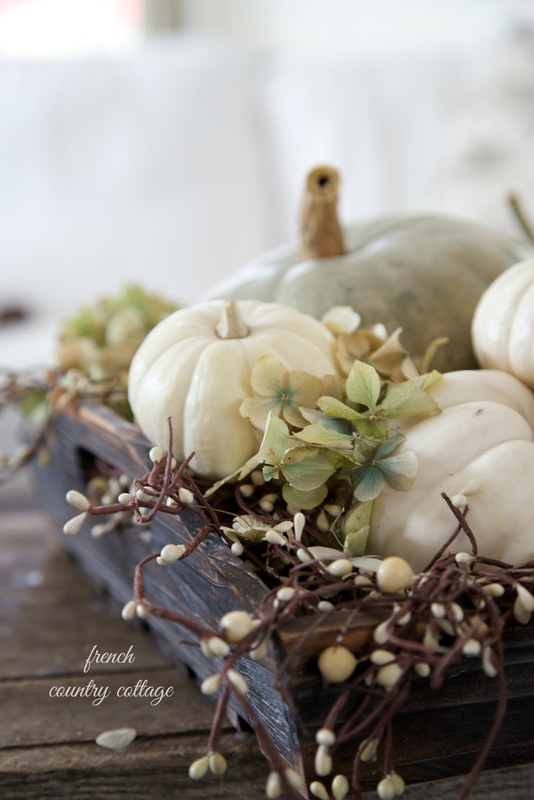 Love all of your gorgeous fall decorations, and especially the white pumpkins. Will be off in search of some for myself this weekend. The photos are so inspiring, makes you feel like a kid in a candy store 😊😊 checked out your eBay sight. Love the vignettes they are all too cute and can be done in no time.love the blue and orang pumpkin, that color is so soft but says hello and grabs your attention . We almost hit 90 here in Atlanta today. I'm not giving up my white jeans and sandals yet! I was in Costco recently and couldn't believe all of the Halloween and Christmas decorations! I LOVE fall, but I'm not quite ready to trade my flip flops for boots! 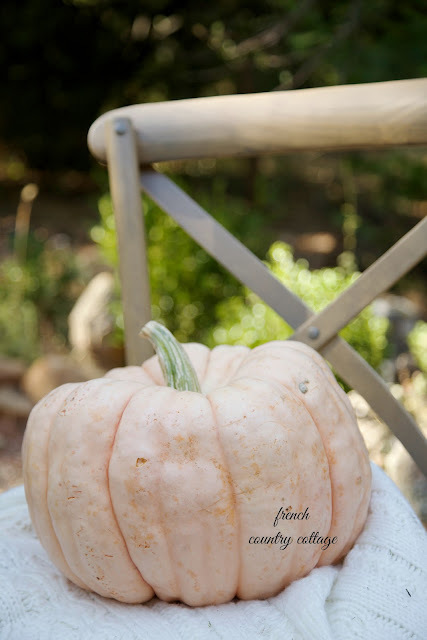 I remember that gorgeous mantel....I cannot wait for the Farmer's Market to get in their beautiful pumpkins....looking forward to your tablescape!